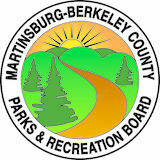 Berkeley County Parks & Rec Board (Memo: Children’s Garden), OR  By donating to Eastern West Virginia Community Foundation Children’s Garden Endowment Fund (304-264-0353). MAY 29TH—AUGUST 31ST Wednesdays: 6:00pm-8:00pm Thursdays: 9:00am-12:00pm Saturdays: 9:00am-12:00pm All children must be accompanied by an adult 18 years or older. **Neither the Berkeley County Board of Education nor any of its agents or employees sponsor or endorse this material or publication. The views expressed may or may not reflect those of the Berkeley County Board of Education a school administration and are neither approved nor disapproved by them. Every week has a planned activity or craft included with admission. Some weeks there may be special guests so please follow our Facebook page for those updates. Please bring items where noted to help enhance or complete a specific activity. Weekly themes start on Wednesdays of each week. Make & Take Activities ($) will be available for a $5 donation to the garden. Admission and donations are cash only. JUNE 18TH: DENSITY Time: 9am-11am Ages: 3-5 years old Cost: $10 Children explore the difference between hard and soft matter. Students will make and take home two projects. Pre-Registration is REQUIRED. JUNE 25TH: MOVEMENT OF AIR Time: 9am-11am Ages: 6-9 years old Cost: $10 Children explore the concepts of what moves air and how it affects our environment. Students will make and take home a pr0oject. Pre-Registration is REQUIRED. ($3 each additional child). Pre-Registration is REQUIRED. 1 hour and 30 minutes. Cost: $75.00. Need more time? For an additional 30 minutes added to the reservation time the cost is $25.00. 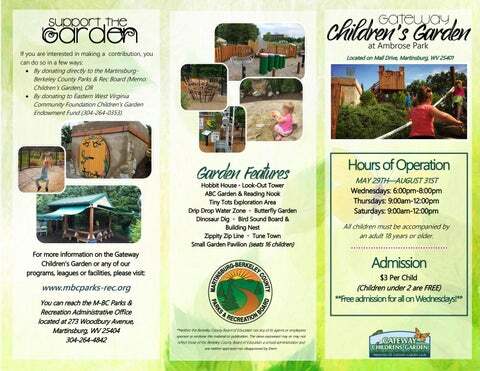 The Garden can accommodate 25-30 children at a time.